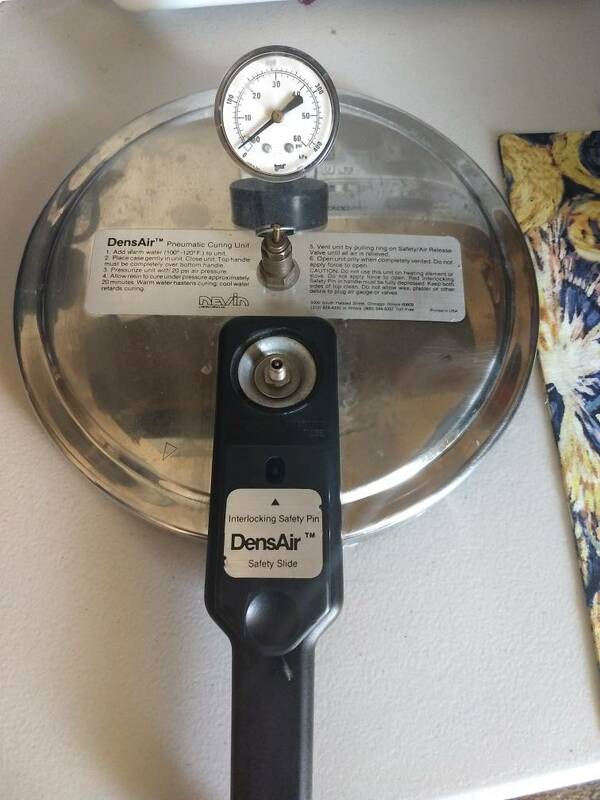 I have a Nevin DensAir pneumatic curing unit, the gasket seems to need replacing since it no longer keeps the air in, and also I think I might need to change the air valve to introduce air. I just can't seem to find the parts I need. I know this is an older model and I can't seem to find the parts online... unless I'm not looking for the the right way. 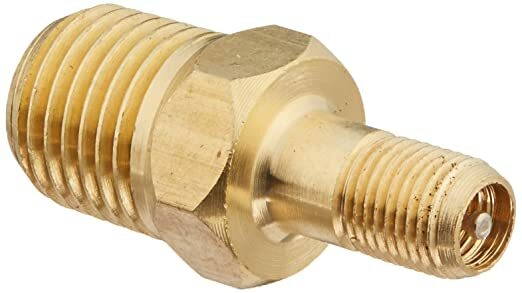 They are standard compressed air parts, take it to a hardware store or a mechanical parts shop that works on compressors etc. I'd buy a new one but I'm trying to save some $$ since I'll be taking my practical portion of the CDT in ortho in June and was planning on using this pressure pot. The big main gasket is there for $10 +shipping. Measure your pot from lipcenter to lipcenter to see if it's a 9'' or 10'' gasket you need.Worth the investment to keep a spare on hand. I had the exact same pot and was told by Schein that they can get no parts for them. The air inlet if failing, can be changed out easily by yourself or at any auto repair shop. wipe some Vaseline on the gasket and it may last until you get a replacement. I ordered a pair of 9" gaskets, hopefully, that will fix the problem. If that doesn't, my next step will be to replace the air inlet valve, I'm just having trouble finding one. Drill out the hole to 27/64 (not kidding, they are that precise(at least my pack of them was that dimention)) and pull it through. Your pot may not need that level of cpr. Take it to the car parts store and see if the stem valve comes out. Many of them have inserts that screw out/in to the big part you cover completely with the air hose when filling it. Edit:If it is the quick release that's leaking, the guys suggetions above are your best bet unless you have an old fashioned hardware store nearby. I think I may have found the air inlet valve that will fit... But I'll change the gasket first and go from there. Thanks for all the feedback, I'll let you guys know the results. Take it to the car parts store and see if the stem valve comes out. Many of them have inserts that screw out/in to the big part you cover completely with the air hose when filling it. I would start with the valve core first -- try a bicycle shop. Vaseline on the gasket. Then look at replacing the whole valve. Good luck. Core, valve core. That's the phrase I couldn't think of. SUCCESS! I started with the gasket, replaced it by buying a 3-pack from Amazon for $10. the 9" ones, that happen to also fit instapots? but whatever, it works now yay!. I'll be taking my Ortho CDT in June, and since I currently don't own all the equipment I need, and the testing site emailed me back saying: "all we offer you is a seat", I've been having to buy stuff here and there, and some have been donated by fellow lab techs. We certainly wish you the best. It the first step in setting yourself apart. Post a list of the things your still needing, it’s crazy how much extra stuff most of us have accumulated over the years. Maybe some of us will have what you need and be willing to donate it. Doesn’t hurt to ask/list it. That is a really nice thing! I'm gonna be putting together my list, as I nervously wait for my registration confirmation and practice some more bending. I always feel like it's not good enough. I think that most good techs would say we never feel our output is good enough and are always looking to make it better. Take some chewing gum with you to the test. Hacks your brain. You never eat when in mortal danger, so it clamps down on some of the fight/flight adrenaline dump program. I used to need that trick to go marketing.